It maybe alright to not even know how to recite the Nigeria anthem even as a statesman or to stand as you please during the recitation but not in the People’s Republic of China. You see, the communist nation does not see its anthem as just a song and so has passed a law that will punish anyone who disrespects the national anthem with up to three years in prison. According to a China state media, Xinhua news agency report on Saturday, the changes to China's criminal law were approved during a committee meeting of the country's rubberstamp parliament, the National People's Congress, NPC. "Serious cases of disrespecting the country's national anthem in public would get punishments including deprivation of political rights, criminal detention, and imprisonment of up to three years," it said. 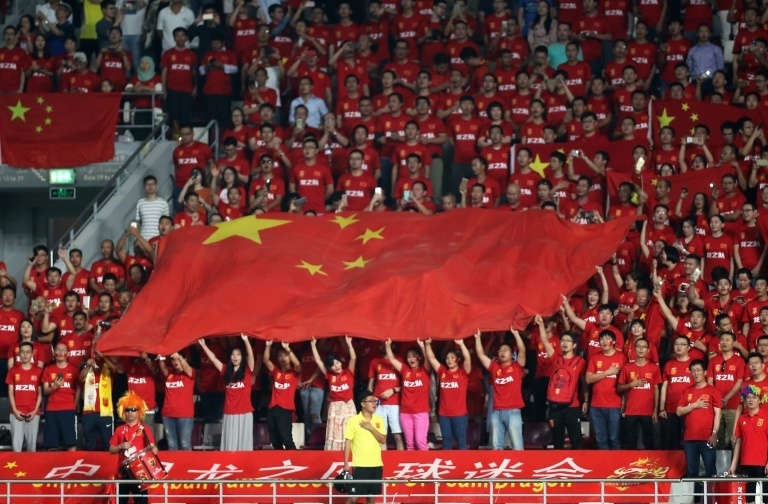 China has been fine-tuning legislation on the proper way and place to sing its national anthem, recently tightening rules that already bar people from performing it at parties, weddings and funerals. The country in September passed a National Anthem Law applying to mainland citizens, which specified a much lesser jail term of 15 days for disrespecting the song. Xinhua said the three-year sentence could apply in "serious" cases concerning disrespect towards the anthem, but did not provide further details. According to the National Anthem Law, "The March of the Volunteers" can no longer be played as background music in public places and "inappropriate" private performances of the song are also forbidden.